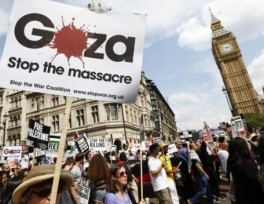 The senior Foreign Office minister Baroness Warsi has resigned over David Cameron's stance on the Gaza conflict. Announcing her resignation this morning, the former Chair of the Conservative Party said that she had written to the Prime Minister "and tendered [her] resignation". 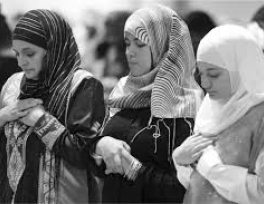 The Ministry of Islamic Affairs, Endowments, Call and Guidance has warned that it would penalize those found photographing or video recording women performing Taraweeh prayers inside mosques. 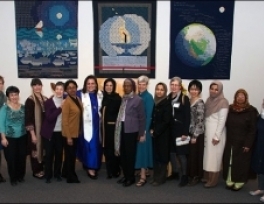 Once a month for the past two years women from the Unitarian Universalist Church of Silver Spring, Md., and women from a local mosque have been getting together for dinner and to talk about books. 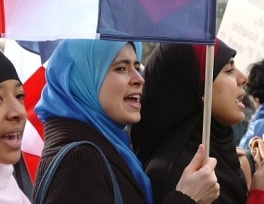 After two mothers wearing Muslim hijabs, or headscarves, were refused access to a beach in the French municipality of Wissous, its regional government of Essone on Saturday legally challenged Wissous’ ban on the wearing of religious symbols. 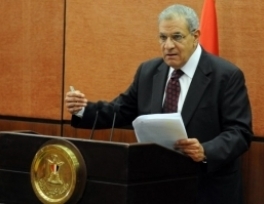 Egyptian Prime Minister yesterday vowed to ban all kinds of violence against women with the help of a new and tougher law enforced in the country. Ibrahim Mahlab said his government will strongly confront any attempt of violence against women with the help of law, during a conference of launching "national strategy plan against violence" held here. 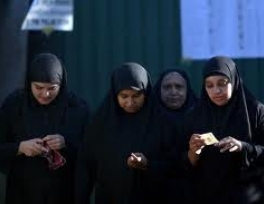 A leading Muslim organisation in Sri Lanka is conducting a campaign to persuade Muslim women to give up black abaya and instead wear coloured ones to make the Islamic sartorial custom more acceptable to the Sinhalese majority in the country. 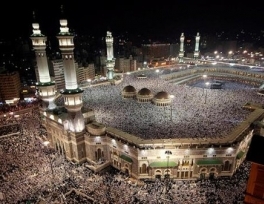 The women’s section of Saudi Arabia's Commission for the Promotion of Virtue and Prevention of Vice, known as the religious police, has prepared 300 women to supervise female gatherings in the Grand Mosque. Normal and everyday activities become acts of worship if they are done for the sake of pleasing Allaah. The regular and consistent deeds are the best among these deeds. `Aa`ishah (may Allah be pleased with her) said that Allaah’s Messenger (peace and blessings of Allah be upon him) said: "The deeds most loved by Allaah are those done regularly, even if they are small.” [Al-Bukhaari and Muslim] This means that we do not need to do anything spectacular in our day to obtain rewards from Allaah, but we should establish some type of routine that incorporates not only the prayer but also reciting the Quran, Du’aa` (supplication), Thikr (mention of Allaah), and other good deeds. This will increase the serenity, patience, and enthusiasm of the believer. 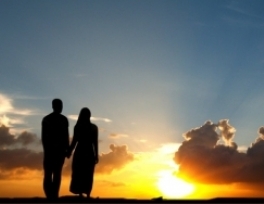 Twenty-three Saudi women sued their guardians last year for refusing to let them get married, a source at the National Society for Human Rights (NSHR) was quoted by the local media as saying. It will be located at the southern end of a new public beach currently being developed in Askar. 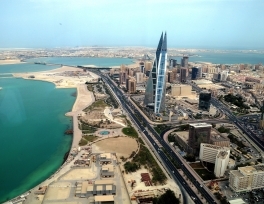 Guards will be deployed to keep men away, Southern Municipal Council chairman Mohsin Al Bakri told the GDN. The women's beach is part of a longer stretch of public coastline undergoing a BD1.5 million development.